Luxury cottages in Cornwall are the best way to explore this extraordinary western tip of Britain that retains an air of independence that the ancient Celtic kingdom of Cornwall would be proud. Cornwall is blessed with some of the most beautiful scenery, countryside, beaches and coastal paths in Britain and is most definitely worth the trip to this far corner of the West Country. Cornwall's Celtic roots goes back centuries when its location meant it was able escape much of the change driven by the Saxon's. Although much of this influence has faded over time there are still granite crosses and Celtic Saints that hint to this forgotten age. Much of Cornwall's prosperity was built upon farming, fishing and its natural resources of copper, tin and china clay and you can see still the evidence of this industry in the county through the remains of disused and derelict mines. However, Cornwall prosperity is now built upon the thriving tourist industry where the coast, countryside and great weather attract visitors in their millions each year. If you are looking for a busy holiday resort in Cornwall then favourite destinations include Falmouth, where you can find the National Maritime Museum, Newquay - the home of the UK's National Surfing Centre - Bude and St Ives. If you are looking for something a little less blemished by tourism you can try villages such as Boscastle, Port Isaac and Fowey. Cornwall has many stand out attractions worth visiting from the pioneering Eden Project to the peace of The Lost Gardens of Heligan and site of 'King Arthur's Castle' at Tintagel. Check out some more attractions in Cornwall. The rolling Atlantic waves and great sandy beaches makes Cornwall's beaches highly popular with professional, amateur and novice surfers each year. Whatever your skill level you can have a fantastic time sufing, bodyboarding or just simply jumping the waves on the Cornwall beaches. Find out more about surfing in Cornwall including Cornish surf schools. If you are looking for the best family friendly beaches then it is worth checking out the Cornwall Blue Flag beaches at Porthtowan, Polzeath, Porthminster, Porthmeor and Gylyngvase. As wonderful as it is, Cornwall is not all about the coast as it contains the wonderful Bodmin Moor and the idyllic Isles of Scilly. If you feel inspired to spend a short break or holiday in a luxury cottage in Cornwall then browse a selection of luxury cottages and apartments below or alternatively take a look at all of our Cornwall cottages. 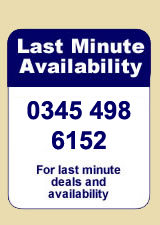 To get some great last minute Luxury Cottage Cornwall deals and latest availability we recommend calling 0844 847 1143 for a selection of cottages, apartments, lodges and more. The Luxury Cornwall cottages are a selection of top quality cottages and apartments which are often 4 star or 5 star rated. As such you can rest assured that you will enjoy a high quality stay with lots of luxurious trappings and service.